UNIQLO has announced their collaboration with the well-established department store Liberty London — a store with a history of over 140 years. Browse through and indulge in the LIBERTY LONDON for UNIQLO Spring/Summer 2016 collection which will be available from Thursday 24th March at UNIQLO stores nationwide and online. Since the establishment of Liberty in 1875, the company has been collecting handicraft items, ornaments and textile fabrics from Japan and other East-Asian countries. 42,000 of these items made up the inspiration for Liberty’s print archives. These print designs and other manufactured goods were sent out around the world. In the year 2001, UNIQLO achieved their first step into the world market and envisioned the dream of a collaboration with the ever popular Liberty London — the department store which thrives off the continuous love and support of the British public. Through this dream, UNIQLO’s desire to distribute the result of their collaboration all around the world was a concept which soon became a reality. The fusion of 140 years of extensive British heritage with the traditional influences and culture of Japan and East Asia gave life to this new culture-rich, innovative collaboration, which will allow people from around the world to enjoy an enriched experience of life. 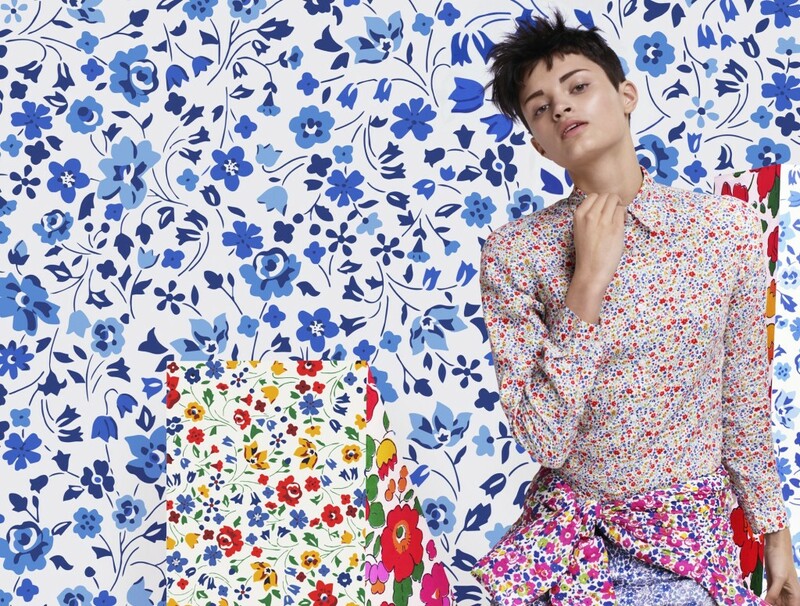 The LIBERTY LONDON for UNIQLO special website is available from Monday 22nd February. Charlotte Stockdale, director of CHAOS FASHION, styled the campaign, which was photographed by world famous British fashion photographer Nick Knight.